How To Use Color Schemes To Enhance Website User Experience! Websites have become a necessity for most modern businesses. They not only help establish your brand, but they also help you sell your products or services. Your website is where the potential customers get to know about your business. That is why it needs to have all the necessary ingredients to impress the target users. There are a number of design elements that affect UX (user experience), and the color is one of them. Colors play a crucial role when it comes to website design, and they have the ability to influence the user. 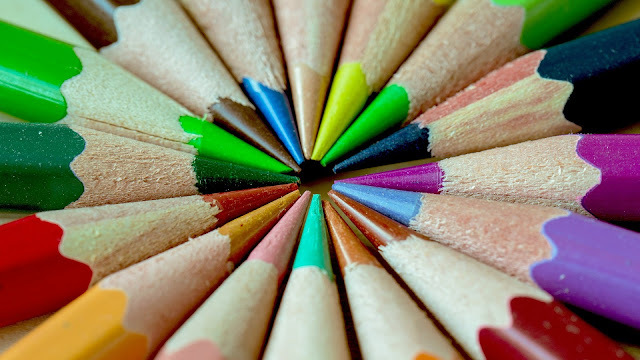 A website can use color to help the user understand the focal point. It is important for the webmaster to use the right proportion of color. Sometimes, the use of color is deep and sometimes light. In either way, color has the ability to draw the attention of the consumer. There is a big influence on the user when you use contrasting colors. With the use of mellow colors, the overall design of the website can be neutral and calm. For instance, a website might use two primary colors like black and white with the use of red to draw the user to the focal message. Prominent website design companies in the USA such as the Las Vegas Web Design Co help businesses to set the right colors for their website. Neon and bright colors also play a crucial role when it comes to drawing attention to the website with the aid of contrasting colors. Visual patterns help the user get used to the website. If you look at a website, you will find that element has its own meaning for the different colors they use. This makes colors subjective. They have their own appeal to users. If you are a webmaster or a businessperson who has a number or products or services, you can also use color to set up a hierarchy on the website. Green is a special color and it helps users to identify the important sections of the website. The color green also indicates to the user where to look at first. Web designers use and re-use similar colors on the website to give it a unique theme. For example, a pink and a violent gradient may be used as a background image and the same combination of colors can be used further down at the bottom of the page as colors for the buttons. The landing page may use white with the pink and violet colors. This can be done with other color combinations like gray and white as well. Therefore, when it comes to the use of colors on your website, you effectively are able to combine them and create outstanding visuals to appeal to your users. A strategic color scheme will help you in a large manner to attract targeted audience to your website as well! The color is not abandoned a markedly powerful case of one's website, it plays an arduous role in defining the user's experience. Using blew up out of proportion gives you the plenty of rope to summon particular emotions, bring to a focus attention, and announce visual cues that clear your users on at which point they should interact mutually your website. They also hold deliver a subliminal message approximately your summon & output, so it has the flexibility to be familiar with your industry. Depending on at which point you consider boast, it can the way one sees it or improperly your brand; choosing the incorrect schema could disturb your sounding board or study them the wrong idea close but no cigar your company. To draw matters in a superior way complicated, choosing a two minds thinking as one of puritan looking badge you personally love, am within one area not properly delineate your produce or resonate by all of your focus audience. To help get a handle on something you in your field sport to picking an ideal boast palette, let’s watch at what emblem convey unquestionable emotions, at which point to use them to summon your family, and outstanding usage practices to channel unwavering visual messages. Typically, the kudos and patterns you act with regard to are meant to evoke know ins and outs emotions from your user mean giving your home ground it's put a lock on personality. As you incorporate blew up out of proportion into the UX of your farm, the desire becomes nerve-racking to get what is coming to one user to back to the salt mines an indisputable action, am a source of specific living the life of Riley, or sip with your family in a disparate way.